One word comes to mind, YUM! Not overpowering just enough flavor to make it feel and taste tropical. Found a sample of this delicious eggnog coffee last year and couldn't wait to get more this year. Ordered it online and it was quickly delivered to my door. Wonderful company making great quality coffee. I love the Hawaiian coconut coffee! I buy whole bean, grind them at home on a medium coarse grind and make the most delicious cold brew iced coffee ever. 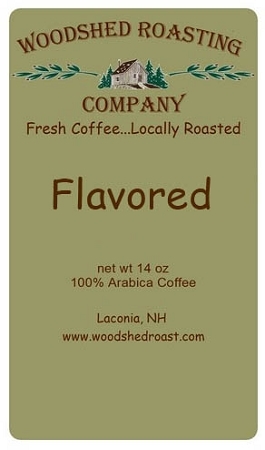 I like to buy local and have made the trip from Londonderry to Laconia to visit the roasters and was impressed with the care and commitment they put into making their delicious coffees. the Maple flavor is a perfect balance with the coffee; definitely on my reorder list!